The Magus XC is a high performance glider designed for Cross Country flights that should only be flown by experienced pilots. 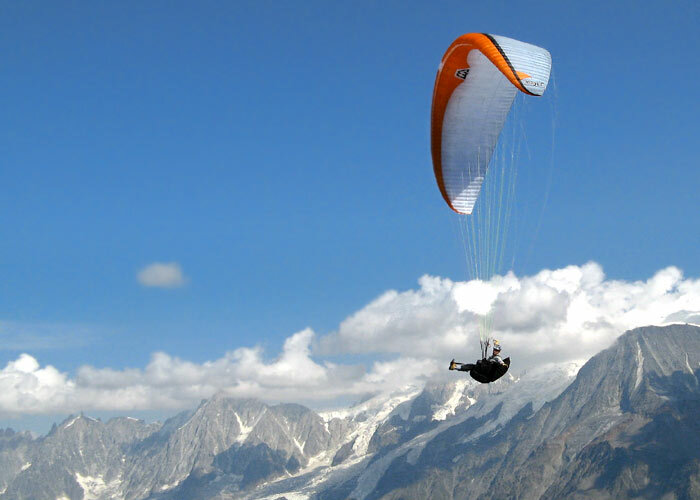 Our RD team has transformed experience from Magus series developments into serial class of high performance paragliders. The Magus XC has an aspect ratio of 6.2. 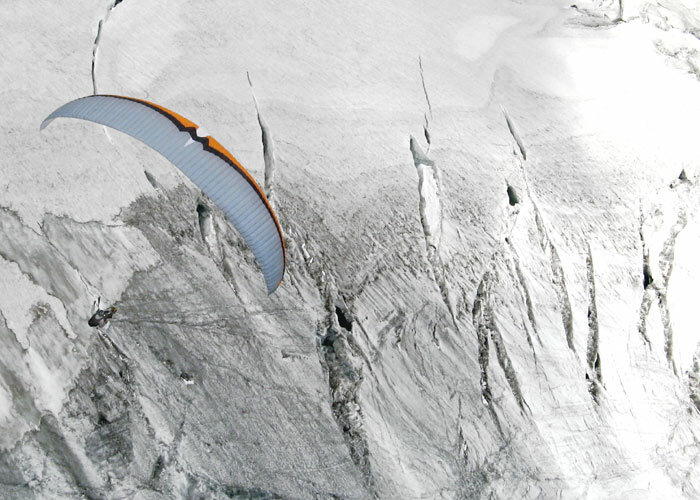 Use of Magus 5´s airfoils give the paraglider an excellent glide performance both at trim and on accelerated flight. Magus XC inflates very easily and has pleasant ground handling characteristics. The reinforcement flap system in the centre of canopy combined with the bunching system on the wing tips give precise handling with outstanding climbing performance. Just a short brake input is needed for a flat turn. This brake system pulls together a part of the trailing edge when applying the brakes. 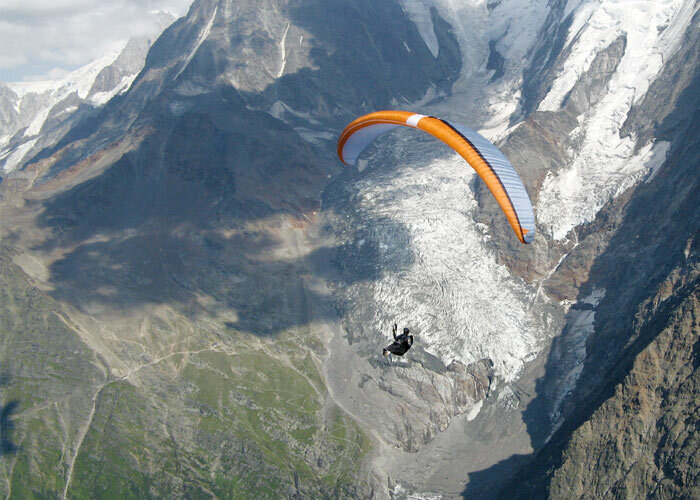 The handling is precise in turns with average presure and not tiring even on long flights. Best glide can be achieved with released brakes. 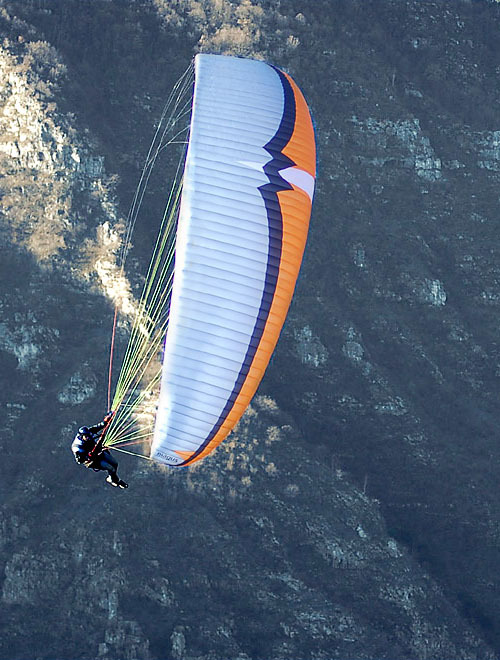 Magus XC has remarkable glide ratio by accelerated flight. The maximum speed measured with a high wing loading is 52-54 km/h. Of course it is less then competition glider Magus 5 but the reduction of max. speed has lead to softer reactions by asymetric colapses of 70% on accelerated flight. Spiral dive is easy to enter. 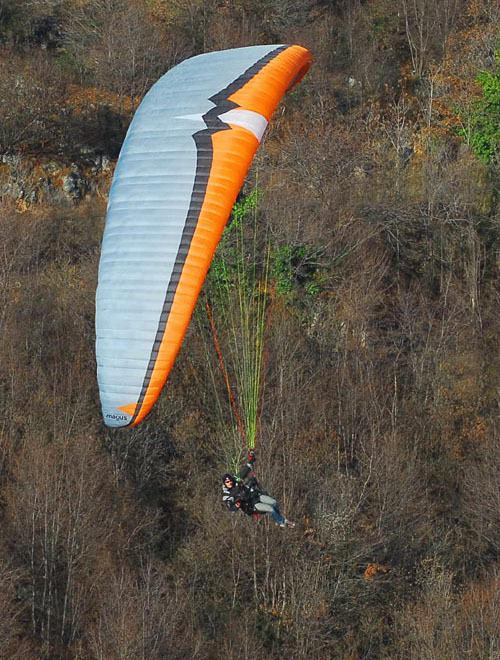 The Magus XC is not spiral stable, meaning that the glider exits the spiral when the pilot releases the brakes and returns his weight-shift to a neutral position. 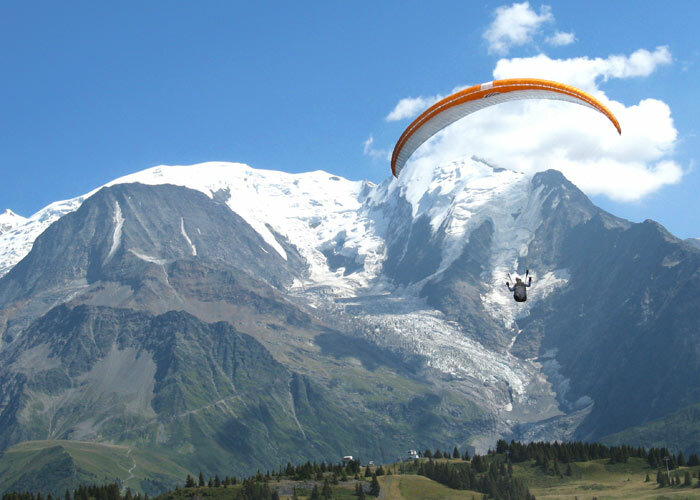 Glide ratio combined with sporty handling make the glider really lovely. Like all new MAC PARA gliders the topsail is a mixture of materials with different coatings. 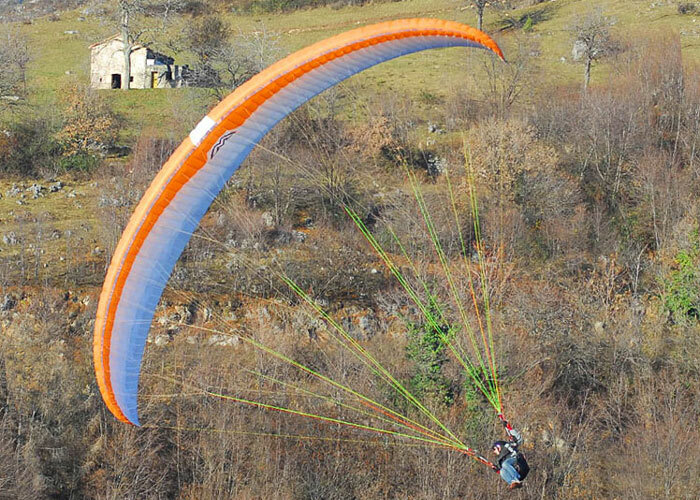 The Magus XC is manufactured using the paragliding industries well established lightweight material with excellent durability; Skytex 40, from Porcher Sport (NCV). Because for any glider, the part that always wears out first is the leading edge, we use Skytex 40 with double water repellent E77A coating for this. For less stressed parts of the sail we use Skytex 40 with E38A coating. For main ribs and diagonal ribs we use Skytex 40 with E29A “hard finish” coating. The different parts of the design are assembled to keep the cleanest canopy. The Magus XC is equipped with a classic competition line system with every third rib attached. Top lines are made from proven unsheathed Liros line series DC with a coating to increase UV-resistance. Main lines are made from Gin Aramid/Kevlar lines of different diameters. The 4 point risers are are made from 20 mm polyester prestreched strap. The brake handles have magnetic clips and a swivel attached steering line.